Fanney Khan teaser has made the fans more excited about the movie which is scheduled to hit the theatres on August 3, 2018. Based on Belgian movie Everybody's Famous, the film will star Anil Kapoor, Aishwarya Rai Bachchan, Rajkumar Rao, Divya Dutta, Karan Singh Chhabra and Anaitha Nair. 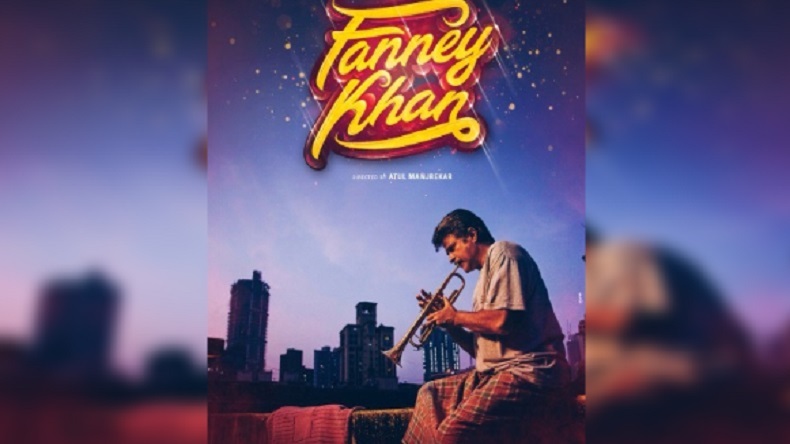 Helmed by Atul Manjrekar, Fanney Khan is made under KriArj Entertainment, Rakeysh Omprakash Mehra and T-series banners. Take a look at the exciting reactions of fans on Fanney Khan Teaser. And the much awaited Aishwarya Rai Bachchan, Anil Kapoor starrer Fanney Khan teaser is finally out. Directed by Atul Manjrekar and co-produced by KriArj Entertainment, Rakeysh Omprakash Mehra and T-series, the film marks Anil Kapoor and Aishwarya Rai’s collaboration after 17 years. The story which is based on Oscar nominated Belgian film Everybody’s Famous revolves around the life of a young teenage girl who is forced to become a singer by her parents. Apart from Kapoor and Bachchan, the movie will star Rajkumar Rao, Divya Dutta, Karan Singh Chhabra and Anaitha Nair. Superstar Anil Kapoor starrer will hit the theatres on August 3, 2018. Anil Kapoor will be seen playing the role of Aishwarya Rai Bachchan’s father who will make her turn into an Indian Madonna for the film. Excited for the teaser, even Great Grand Masti star Riteish Deshmukh took to his social media account to share his excitement for the teaser. In his tweet, he wrote that the teaser of the movie is outstanding and he cannot wait to watch it again. Soon after the Fanney Khan teaser was released. Fans couldn’t stop gushing about both the actors especially Bollywood beauty Aishwarya Rai Bachchan. One of the users posted, “Wooooooooooooow!!!!! So beautiful! So musical! absolutely excited about this movie! Loving all!.” Take a look at the reactions people gave after watching the interesting Anil Kapoor starrer Fanney Khan.